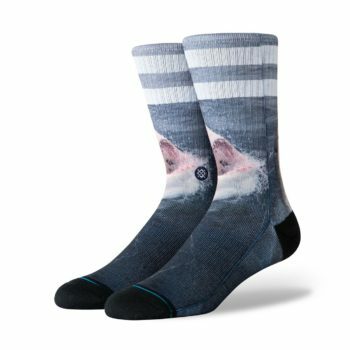 The Stance Brucey socks are quality build socks, featuring a Stance Brucey graphic throughout. Athletic ribbed and terry loop in forefoot, heel and toe for light cushioning. 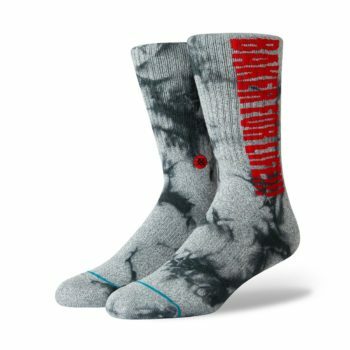 The Stance x Baker For Life socks are quality build socks, featuring a woven Stance x Baker branding down the neck and a grey wash colour treatment. Made from 71% combed cotton, 27% nylon, 2% elastane. 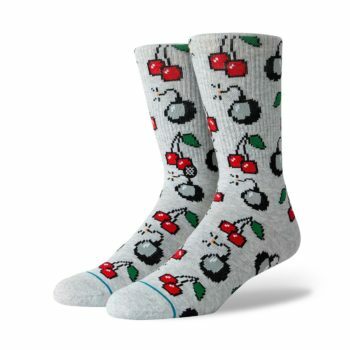 The Stance Cherry Bomb socks are quality build socks, featuring woven Stance Cherry Bomb graphics throughout. Made from 41% combed cotton, 29% polyester, 27% nylon, 3% elastane. Terry loop in forefoot, heel and toe for light cushioning. 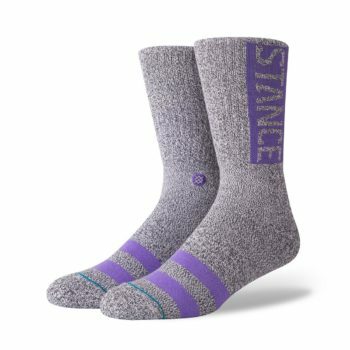 The Stance OG socks are classic crew socks, featuring woven Stance logo at the top of the neck. Stance branded embroidered logo on the lower neck. Seamless to closure and reinforced heel, toe and arch support for added protection and maximising comfort. Athletic rib and with terry loop in forefoot, heel and toe for medium cushioning. 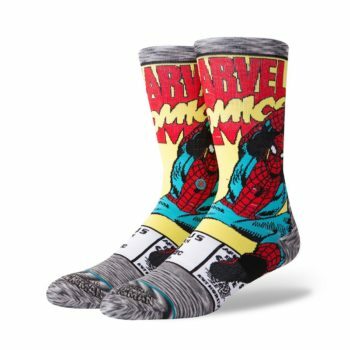 The Stance Spider Man Comic is a premium sock featuring a full length classic Spider Man comic strip graphic. Made from 37% polyester, 32% nylon, 25% combed cotton, 6% elastane. Terry loop in forefoot, heel and toe for medium cushioning. 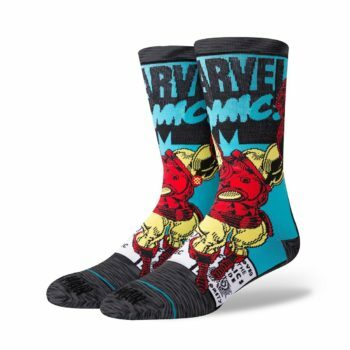 The Stance Iron Man Comic is a premium sock featuring a full length classic Iron Man comic strip graphic. 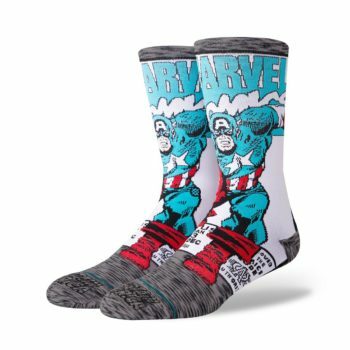 The Stance Captain America Comic is a premium sock featuring a full length classic Captain America comic strip graphic. 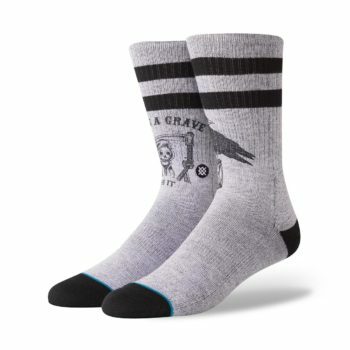 The Stance Life's A Grave socks are classic crew socks, featuring a custom graphic on the lower neck of the sock with dual stripes above. Made from 57% polyester, 41% combed cotton, 2% elastane.